← The Pre-Hershey History of Kit Kat USA: Discovered and Uncovered! 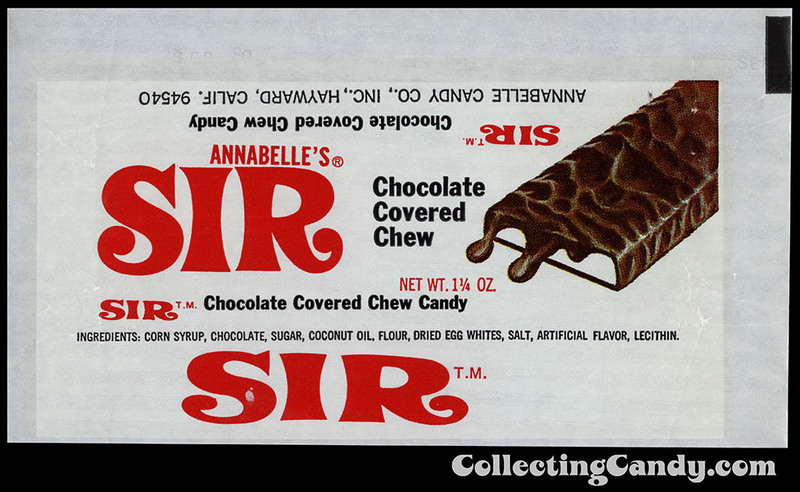 Annabelle’s “Sir” bar is one that has long fascinated me, partly because I loved the logo for it and I had never come across a wrapper for one, as well as the fact that I didn’t really know much about the thing. I’m happy to report that I recently was able to add an Annabelle’s Sir bar wrapper to my collection and upon doing so, followed that up with a good bit of research that has allowed me to paint a picture of the life of this bar. Make the jump to check it out. 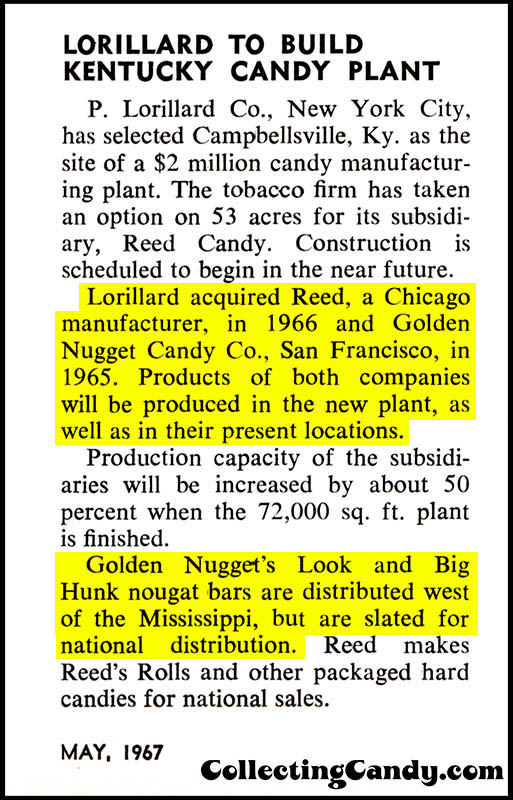 Golden Nugget was already well-known for their Big Hunk and Look bars when, in December of 1967 the candy trade was informed of their newest offering, the Sir bar. 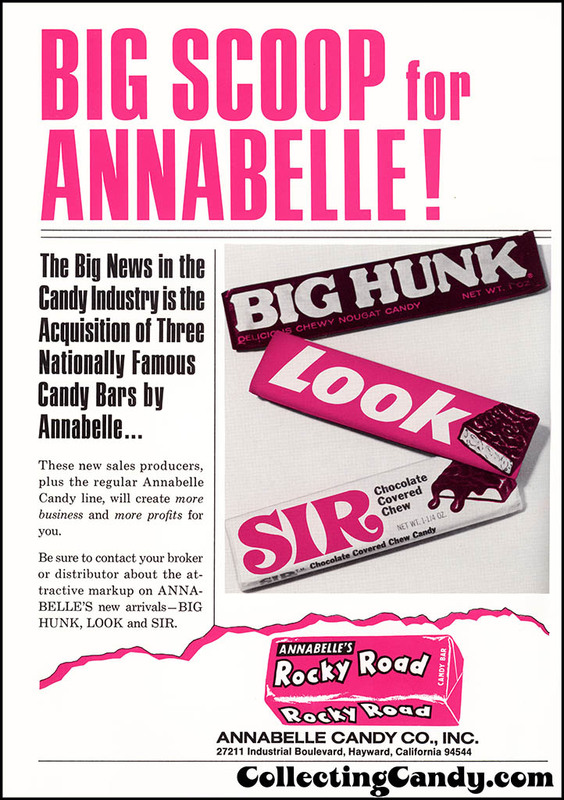 So five years into its young life, the Sir bar became a part of Annabelle’s candy lineup. So that’s the Annabelle’s Sir bar. 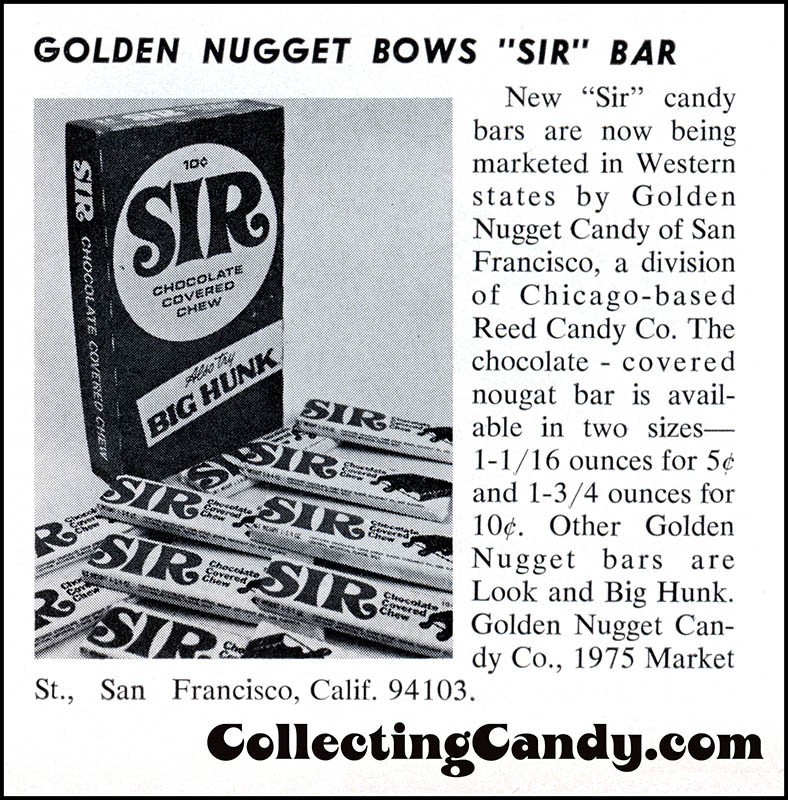 I don’t know for certain how much longer it remained on-sale but based on my anecdotal findings, I’d estimate the the Sir bar was discontinued by the early 1980’s. I think the Sir bar presents us with a great bit of candy logo/packaging design and another forgotten classic I’m thrilled to finally be able to present here on the site. I believe today’s post represents the very first time the Sir bar has been shown anywhere online, which is pretty exciting. I hope you’ve enjoyed seeing it and learning a bit of the Sir bar’s history. This entry was posted in 1960's, 1970's, Chocolate and tagged 1960's, California, candy collecting, candy collection, candy collector, candy wrapper collection, candy wrapper collector, collectible, collecting candy, confectionery, confections, logo design, packaging, packaging design, regional, San Francisco, sweets, vintage candy wrappers, West Coast, wrapper. Bookmark the permalink. 2 Responses to Annabelle’s “Sir” Bar – Another Forgotten Classic! Loved your piece. 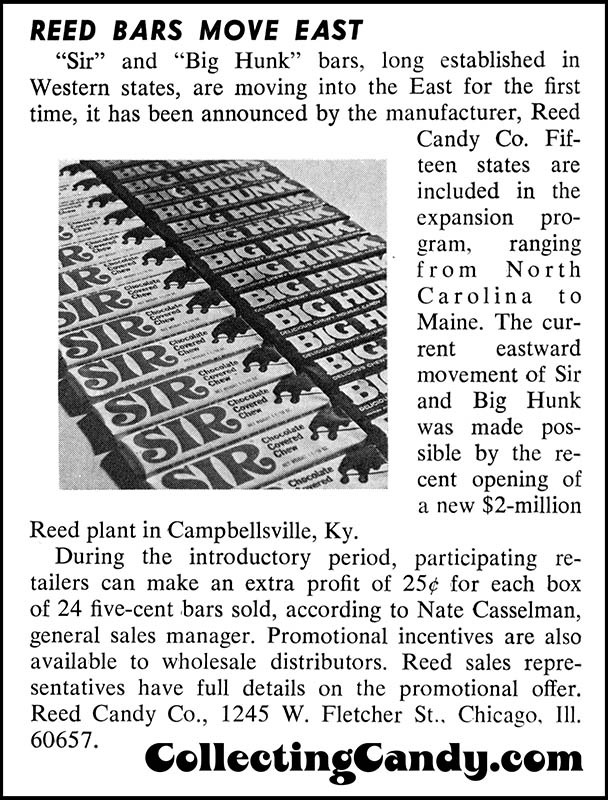 Sir was my all-time favorite candy bar growing up and it is very disappointing to learn that it is no longer available.